“From this month at the Business Park, I will take with me the awareness of what it means to work, make sacrifices and therefore fight to get what you want. It also gave me the possibility to seriously think about my future!” writes Mariangela after a month of internship, that same girl who blushed on the first day just by saying her name. There were 13 who, fresh from high school, arrived from Sicily in a particular and intense moment at Lionello Business Park, which was in preparation for the second edition of the LoppianoLab. They gathered to welcome guests and VIPs, to folding thousands of folders, to being hostesses: this was their first contact with the workplace. Up until the week before, they did not even know the existence of the Business Park, nor were they aware of the Economy of Communion project, and yet they were immediately fascinated. Every job is important and this was the motto they lived, especially in the second week when the program included a day of harvest, another to pack and then label the products. The visit to Sophia University Institute, the meeting with Valerio Ciprì (Lode) of Gen Rosso, and working closely with a number of entrepreneurs and professionals have been the recipe that made Andrea say, “I was a slacker, I hated the job and now I like to work.” He even learned how to make coffee at the bar! The Business Park, with its protagonists, even in everyday life, has cooperated to achieve one the goals of the economy of communion: to form new people! Greta: This internship has made me understand and experience a new way of doing business. It is an economy of communion, which, unlike others, is based on being a simple but important practice: GIVE to those who are in difficulty. Thanks to the Economy of Communion businesses, I understood that there is no selfishness and rivalry among entrepreneurs. The economy can be a powerful way, if used well, to help those who are less fortunate. Everything that surrounds the EoC is solidarity, love towards others. The advice I would like to offer is to make it known to everyone and bring out this aspect of universal brotherhood. Thank you for this opportunity I was given. Elisabetta: I learned that every job is important. At Fantasy I found myself very well and beyond the work they made me feel one of them. Emanuela: I managed to overcome my shyness. LoppianoLab was a unique and beautiful experience because I have strengthened my communication and interpersonal skills. I did all kinds of work, including crochet with diligence. I thank all the people at the business park and the tutor for helping me understand better my own biases. Alessandra: The experience at Lionello Bonfanti Business Park is very interesting. It is a unique experience that I will always carry it in my heart. Denise: Thanks to the support of my advisor and to all employees at Lionello Business Park, I understood what I would like to do in the future. The experience at the reception desk during LoppianoLab was very important; I gave my best effort. Andrea: This internship allowed me to complete my training. In general all schools teach concepts and theory; however, they do not train you how to ack at the work place. The internship made me realize how important it is to be able to communicate and interact with people, and be willing to bet with my own skills. Laura: These 4 weeks have helped me to widen my horizons with regards to work and all its aspects. It also gave me the opportunity to apply to a university in Florence because where I come from they do not offer the subjects I would like to study. Conclude l'insegnante: "We invited all the parents of the students who have participated in the internship at Lionello to come to our school for a gathering. The principal of the school was also present. It was a moment where the students shared the beautiful experience they had during their internship. The boys and girls who took part in this experience returned home enriched by it. They have been sharing it with their families. It is like “a river” of wonderful stories. All of the student agree in saying that this was a unique experience. The people they encountered at Lionello including drivers, guides and others were always ready to listen; to guide them in doing good. The parents of these students thank all of you for helping their children to grow. They say their children grew more in a month than over many years." For more information: this internship stage was made possible thanks to a series of successful collaboration: the ITCS "G. Arcoleo "Grammichele (CT) has issued a call based on the Call Circular extraordinary POR 5683 - 20/04/2011 (ESF) - Annuity National Operational Program 2010-2011" Skills Development "2007-2013 - WITH EUROPE INVEST IN YOUR FUTURE Action 5 Objective C, for a training course aimed at school children who have a high school diploma; the agency Marrikriu participated and won the tender to organize the internship in all its details: the E.di.C was offered as an essential part of the training project. 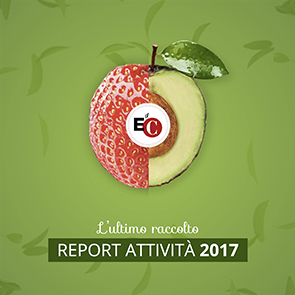 The E. of C. during this period hosted 13 children and two teachers in this the training course titled: "Let's get in business – enterprises with an Ideal motivation", All aspects who supervised by an advisor appointed by the commission (Cecilia Manucci). This experience is definitely open to others and can be repeated at any time.